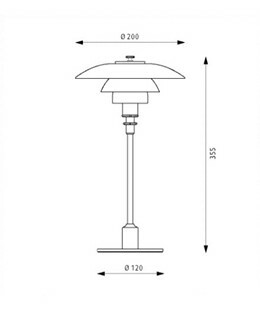 The PH 2/1 table is a member of the 3-shade family that now consists of 18 lamps, three of which are designed for outdoor use. Poul Henningsen created the 3-shade system back in 1925-1926, when in cooperation with Louis Poulsen he designed the first lamps for an exhibition in Paris. 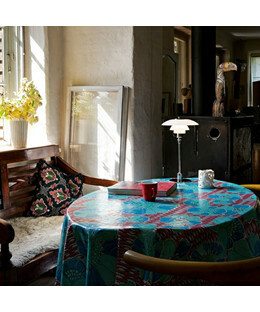 Throughout his life, PH sought to create glare-free light that could be directed where it was needed and created soft shadows. And so PH created not only a lamp but an entire system, and throughout the years around one thousand different models have been manufactured. 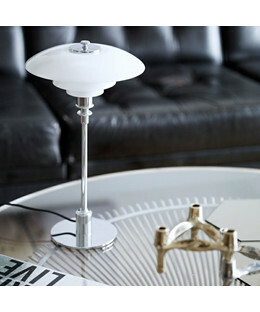 The PH lamps’ numbers refer to their shade sizes, and each top shade had an accompanying set of lower shades. 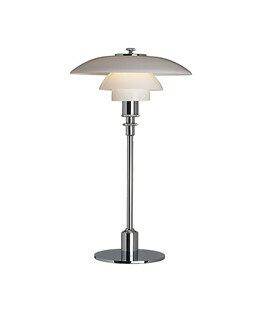 A 2/2, one of the ‘pure’ models, has a top shade of approximately 20 cm with its corresponding lower shades. 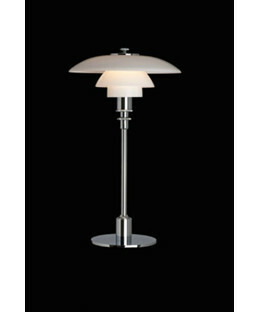 A PH 2/1 lamp uses the 20 cm upper shade with the middle and lower shades from the model named 1/1. The PH 2/1 lamp was designed with a reflective multi-shade system based on the concept of a logarithmic spiral - the focal point of the light source is located in the centre of the spiral, producing diffuse and glare-free light. 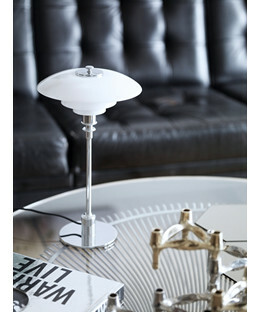 The PH 2/1 table lamp emits a downward-facing light.